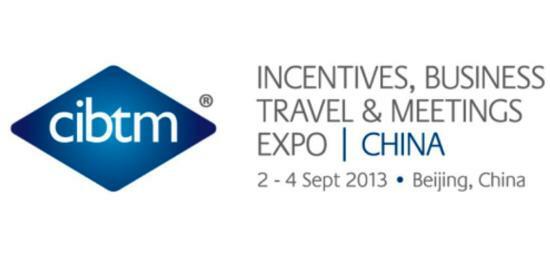 China-CIBTM increased 17 % from meetings and incentive exhibitors sept 2013. We have been delighted with the level of business which was achieved this year and we have had a great deal of positive feedback so far from all of our attendees. This feedback gives us a true indication of just how effective the Hosted Buyer program is in generating business for buyers and suppliers from across the globe,” says Jeffrey Xu, CIBTM Project Manager, Reed Travel Exhibitions. CIBTM , China’s leading meetings, incentives and business travel exhibition, which took place last week in the China National Convention Centre (CNCC), Beijing. The number of exhibitors who attended the show this year also increased by 17%, with the show introducing new and returning brands to the China meetings and incentive industry. Bun CHO, Business Development Section, Japan Convention Bureau, Japan National Tourism Organization who also exhibited at CIBTM 2013 also commented, “This is the seventh year that Japan has exhibited at CIBTM, we believe CIBTM to be a very important platform to facilitate business exchange and negotiations. Overseas buyers this year are of a high level of quality and qantity. This year’s Professional Education program was also considered “a huge success” with a 113% increase in attendance over the 20 sessions, which were delivered as part of CIBTM Knowledge marking an 18% increase on sessions delivered at CIBTM 2012. The program featured a number of diverse speakers through partnerships with some of the world’s leading industry associations including MPI, SITE, ASAE, ICCA and IAEE.